A new unconventional school has opened in Adelaide. Adelaide Botanic High School, designed by Cox Architecture, has welcomed about 350 year 8 and 9 students. The school is operating as a “vertical school” with an abundance of light and open spaces. Traditionally closed off, classrooms have also been fitted with glass panels to maximise visibility. 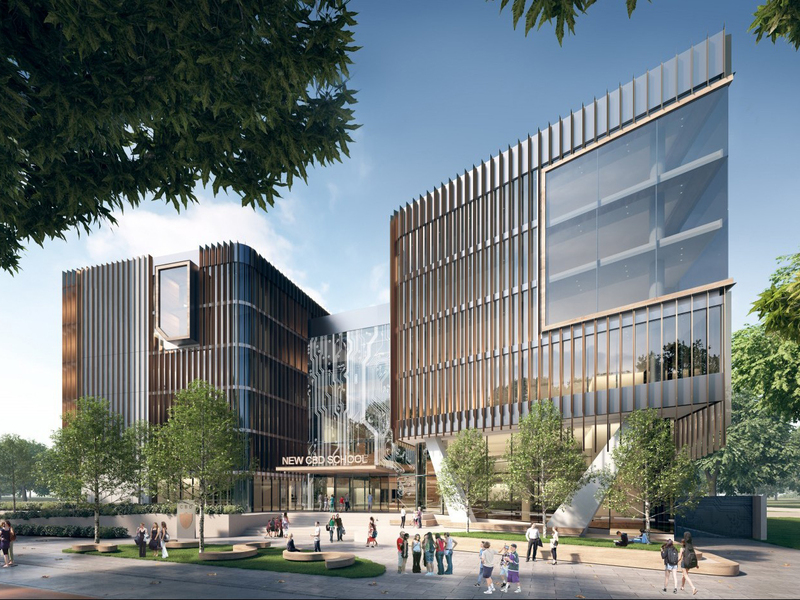 “In creating the concept for the new city high school, our desire was to create a contemporary and innovative learning environment that has a strong connection to the surrounding landscape,” says the architect. According to Cox, the school includes flexible learning spaces connected through an “active atrium” over five levels. The school’s STEM and inter-disciplinary focus will be on display with a gallery/exhibition space on the ground level and a series of learning pods in the central atrium space. The internal space acts as a continuation of the external landscape and parkland setting, creating an indoor-outdoor connection that will enhance the student learning experience.